Oral chelation is pathetically ineffective and has some undesirable side effects! There are NO such products I can recommend. The hands-down favorite EDTA product among customers and for me personally, is Medicardium Magnesium Di-Potassium EDTA in suppository form. PHOTO ABOVE: Medicardium Magnesium Di-Potassium EDTA Chelation - convenience and maximum effectiveness in suppository form. In examining this class of supplements, I found plenty of claims that they remove all manner of toxic metals such as mercury, lead, aluminum and arsenic, accompanied by assertions that the products ALSO eliminate arterial plaque! 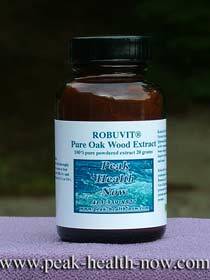 If that were not enough, many also claimed to cleanse and heal liver, kidneys and gallbladder. I personally have tried some of the top oral chelation products; one of the formulas was created by a well-known chelation doctor. NONE of them had any noticeable effects! 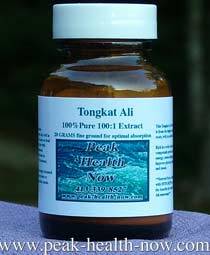 There are many websites selling these products, claiming that EDTA is both safe and highly effective for heavy metal detox when ingested. Below, I explain why these ideas are erroneous. But first, I must comment briefly about supplement quality control. Sadly, my 30 year involvement with the supplement industry has shown that, being very generous, over 95% of all nutritional supplements are of such poor quality that they are quite useless. Just for starters... cutting corners for profit by using low quality ingredients from countries such as China, deceptive labeling and grossly exaggerated claims unsubstantiated by empirical evidence or sound research. Over 95% of nutritional supplements, including oral chelation products, are not what they say they are and do not do what they say they do! Through digging deep beyond the obvious information, plus 30 years of experimenting and finding a tiny percentage of supplements that actually WORK, I know this to be a fact. Here are some specifics with regard to oral chelation supplements. The majority of them contain calcium di-sodium EDTA, combined with other ingredients such as minerals, antioxidants and amino acids. Some don't contain any EDTA at all. 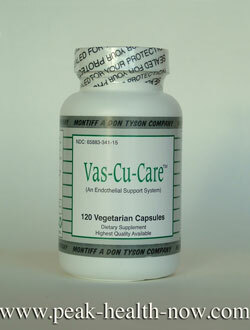 Rather, they make the erroneous claim that ingredients, such as Vitamin C and certain herbs, are powerful chelators. I have carefully looked over a good sampling of oral chelation products. Often, the ingredients were not openly displayed. It took some determination to discover just what was in the products. Sometimes they only contained one ingredient - calcium di-sodium EDTA, an inexpensive element at an exorbitant price - on top of which it is ineffective and potentially dangerous in oral form! Other products hide ingredients by declaring the formula 'proprietary.' Certain ingredients are not revealed at all! NOTE: Some of the very best nutritional supplement companies have labels with proprietary ingredients to prevent theft of their fine and effective formulas. HOWEVER they do say what the ingredients are while not revealing the proportion of each ingredient... (For example, they may say: 2500 mg Arginine, Citrulline, Carnitine proprietary formula). Formulas labeled 'proprietary' are not bad in and of themselves if they reveal the ingredients and total potency while keeping secret the amounts of the individual ingredients. In a word - pathetic! If you take an oral EDTA chelation product that contains 400 mg of calcium di-sodium EDTA, only 5% or less of the EDTA - 20 mg out of the 400 - actually gets into the bloodstream! That means you only get benefits from 5% of any EDTA you take by mouth! Experience shows me that EDTA suppositories are the most effective, safe, cost-effective and convenient chelation method! Do you know that 60% or more of EDTA administered by suppository enters the bloodstream. That carries it to every cell in the body! What happens with the other 95% of the EDTA in oral chelation products..? It does something you don't want it to do! One, and most important, that 95% of the EDTA that doesn't get into your bloodstream remains in your digestive tract, chelating trace minerals such as selenium, zinc, chromium, copper, vanadium, molybdenum, manganese and others vital to health right out of your body! This is because EDTA will grab onto minerals (which are also, by definition, metals) and bind with them so you don't absorb them. It is also noteworthy that EDTA taken orally does not bind easily to minerals like inorganic iron which are detrimental to health. Oral chelation HAS to be done on a continual daily basis, because oral administration is such an ineffective way of getting EDTA into the bloodstream. 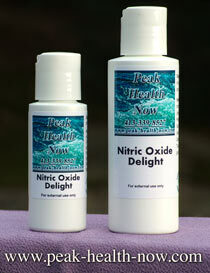 Therefore, oral chelation leads to long-term deprivation of many minerals vital for peak health. Even if you are taking mineral supplements, those will be carried out of your body, too! The recommended dose of 1 gram (1000 mg) per 100 pounds of body weight per day has been known to cause nausea and indigestion. Danger #3: The illusion that oral chelation is removing plaque from your arteries! One, it's unacceptably low level of effectiveness even getting into the bloodstream. 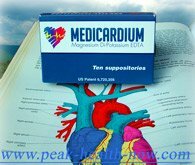 More importantly, the calcium di-sodium form of EDTA cannot chelate calcified plaque off the walls of your arteries because magnesium di-potassium EDTA is needed to do that. The reason is that the base mineral of the EDTA must be of a higher molecular weight to draw the calcium to it. 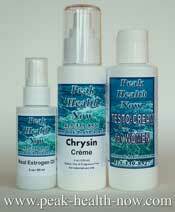 You will find a discussion of magnesium di-potassium EDTA here. I have yet to find an oral chelation product containing magnesium di-potassium EDTA. 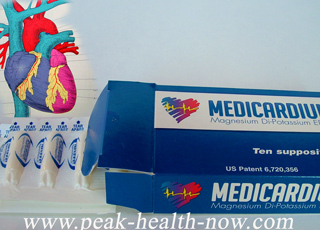 Calcium di-sodium EDTA is mass produced, whereas magnesium di-potssium EDTA is a special order product that is also more costly. What is the best form of chelation for YOU? You will do well to examine the information and think carefully about which options are best for detoxifying mercury and other heavy metals from your body, and improving circulatory capacity. I encourage you to listen closely! 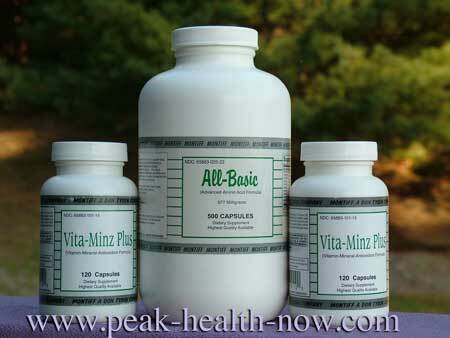 PHOTO ABOVE: Montiff Full-Spectrum Amino Acids plus Vitamins and Minerals to help absorption. Did you know that Pure Free-Form Crystalline Amino Acids combined with the very best B-Vitamins are a GREAT way to support heavy metal detox? 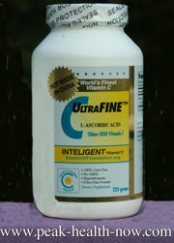 Why supplement with the finest Amino Acids? ?